Over on Food & Wine, voting is now open for the People’s Best New Bars, a survey of the top cocktail spots in America. All 100 of the nominees (which have opened in the past five years) should land on your mixology bucket list, but many more bars and restaurants are getting into the cocktail game every day. Here’s how to tell if you should stay for Negronis or run for fear of watery Cosmos. 1. You can reach out and touch the ingredients. We don’t encourage this behavior, as it will probably get you kicked out. But if there are baskets of lovingly arranged herbs and jars of freshly squeezed juices in front of you, you’re definitely dealing with a bar that puts a lot of effort into each drink. 2. The building could be designated a historical landmark. A great past almost always indicates a great bar. Mixologists love history and seem to gravitate toward former brothels, railroad depots, power stations and factories, like Celeste in Chicago. Bonus points if you’ve stepped into a space that housed a mid-’20s speakeasy. It might be haunted with the ghosts of cocktails past. 3. A bartender hands you a spirits list that’s the length of a young adult novel. Not the cocktail list. If you see 17 pages of cocktails, you’re probably in a Cheesecake Factory. 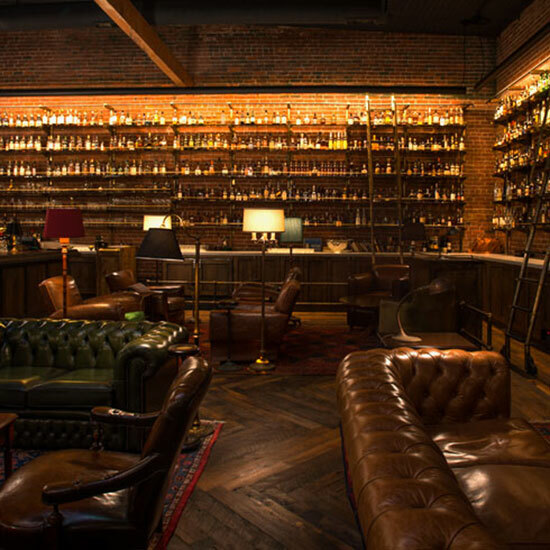 But a well-cultivated spirits list, like the 1,500-plus whiskeys at the Multnomah Whiskey Library in Portland, Oregon, says you’re in a place where people care about their booze. 4. When you come back a month later, the menu looks totally different. Seasonal drinks are the mark of creative mixologists. A mercurial menu indicates that the bartenders are always tinkering with what’s new and delicious. Without OCD and ADHD cocktails lovers, we might be stuck in the dark days of watered down Red Bull–vodkas and wine coolers. 5. Or maybe there’s no cocktail menu at all. Some truly excellent bars put you in the hands of the shakers and stirrers. At the Berkshire Room in Chicago, you name a spirit, a flavor profile and your glassware of choice, and the staff will come back with something bespoke and amazing. Vote now for your favorite new bars on foodandwine.com and follow the coverage on Twitter using #FWBestBars.